Concepto Modern Living is the first Calligaris Furniture Store to open in the state of Florida and is the only Calligaris store in the Fort Lauderdale area. 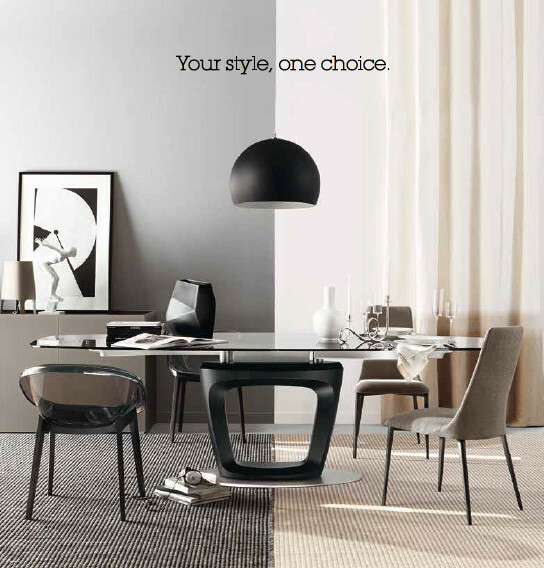 At Concepto Modern Living you will find Calligaris modern furniture and other fine Italian-made furniture. Concepto Modern Living is conveniently located approximately 20 minutes away from Miami, Boca Raton, Weston and surrounding areas. At ConceptoFurniture.com you get a glimpse of some of the hundreds of modern furniture and modern accessories from Calligaris, as well as other fine modern furniture manufacturers, that we offer in our modern furniture store in Fort Lauderdale, Florida. Our product range includes but is not limited to a variety of modern patio furniture, modern outdoor furniture, modern office furniture, modern dining room furniture, modern living room furniture, modern bedroom furniture, modern contract furniture, and modern home accents/accessories. Members of our knowledgeable and friendly staff at Concepto Modern Living work with our clients to help coordinate modern furniture and modern accessory styles, colors, and textures that best suit both personal tastes as well as lifestyle. We have interior designers on hand to help create your ideal space. Please contact us to schedule an appointment. Our goal is to help our clients to create or enhance a special place in their home or office, using beautiful and tasteful selections of modern furniture and modern accessories, without sacrificing their budget. Stay connected! Check out our Facebook Page and view our Linkedin Profile. Subscribe to our newsletter to receive special updates and promotions.